I’m a big, big fan of airbrush makeup. I always say that I’m so lucky to be a makeup artist at a time when airbrush makeup is mainstream already and not something so special and hard to acquire anymore. An airbrush gun is just like another tool in your makeup brush belt, only 10 times more powerful. When done right, you can apply flawless and long lasting makeup in half the time it takes you to do the same with traditional makeup. Who doesn’t want that? That being said, I still have a lot of clients who are hesitant to try it. Some previously had bad experiences with it with other makeup artists, and some were simply misinformed. So here’s a quick rundown of some frequently asked questions on airbrush makeup, and my answers to them. 1. What Is Airbrush Makeup? Airbrush makeup is designed to be applied with the same airbrush technology used for traditional painting and automotive work. The airbrush systems designed for makeup are usually smaller, and work at lower pressure. The system usually includes an 1) air source/compressor, 2) air hose that connects the compressor to the 3) airbrush gun, and lastly 4) the airbrush makeup which is loaded in the gun. 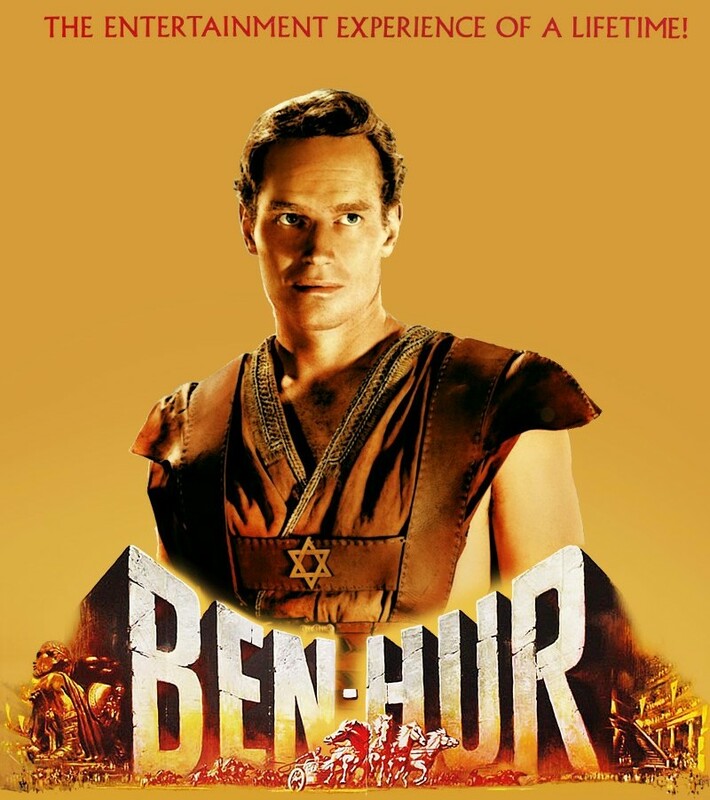 Airbrush makeup was first used for the MGM film Ben Hur (1959). The production makeup artists needed to quickly apply faux tan to thousands of extras who were supposed to be Romans. They began spraying the extras with a foundation they customized for airbrush, and voila, airbrush makeup was born. 2. What are the advantages of airbrush makeup? The spray-dot pattern of airbrush creates a fine mist on the face, which registers less on camera than the patterns and straight lines that brushes and sponges leave behind. I know the difference among airbrush, brush, and sponge application might seem invisible to the naked eye, but they can be noticeable when the face is shown in high definition photo or video. It will literally just takes seconds to airbrush foundation a whole face, compared to the minutes you’ll spend buffing foundation with a Beauty Blender or foundation brush. 3. What are the different types of airbrush makeup? Water-based formulations are known for their matte to semi-matte finish. They are generally sheerer and will sets faster on the face. Silicone-based formulations give a light dewy finish. The natural properties of silicone give a soft-focus effect that radiates a healthy and youthful glow on any skin type. It is also water/sweat/smudge resistant, giving it more staying power than water-based formulations. This is my preferred type of airbrush makeup, especially for bridal work or for any projects which require makeup to last for long hours. I find silicone-based more durable than the water-based ones, and I love how it just seems to blend into skin, making it hardly noticeable. Alcohol-based formulations are usually used for body art, prosthetics, tattoo coloring, and special makeup effects. 4. How long does airbrush makeup last on the face? Longevity is one of the greatest strengths of airbrush makeup. It greatly depends on the skin type and on the type of airbrush makeup, but a silicone based airbrush foundation on normal skin can last anywhere between 12-18 hours. One thing is for sure: It lasts longer than traditional makeup. 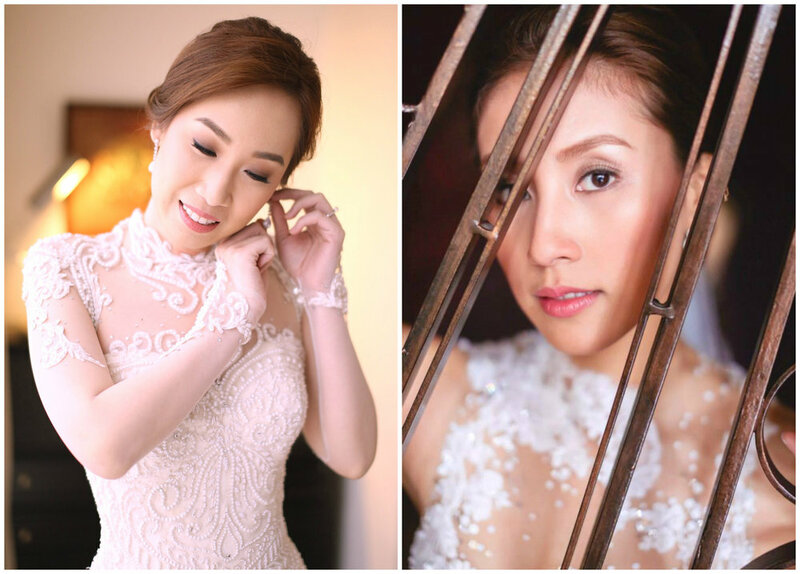 One of the most common feedback that I get from my clients is that they were amazed how even though we had our makeup session in the morning, their airbrush makeup lasted all throughout the day with minimal retouch needed. 5. What airbrush system do you use? Iwata Smart Jet Pro - my biggest and oldest, and is a workhorse. Sparmax DC 25 - my smallest and most portable, which I usually bring for makeup work that requires me to ride a plane. Mistair Solo Pro - my most recent one and my current favorite. It’s like a smaller Smart Jet. Temptu SP 35- probably the most common for basic airbrush makeup use. I have it as back up. Iwata Hi Line HP-CH - what I mainly use, and as with all Iwata products, a guaranteed work horse. 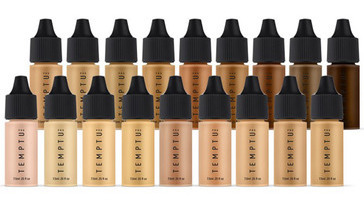 Temptu S/B - silicone based with a semi-dewy and glowing finish. Temptu Hydralock - silicone based with a semi matte finish. Mistair - silicone based with a semi matte finish.